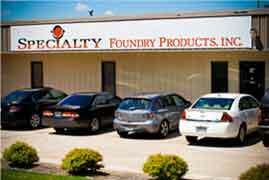 Welcome to Specialty Foundry Products, Inc. Specialty Foundry Products, headquartered in Bessemer, Alabama, is a leader in providing foundry and industrial products, equipment and supplies from the nation's top manufacturers, including foundry resin, copper chops, and release agents. Serving primarily the metals melting industry and steel, aluminum and brass mills, but also cement, paper and pulp, incinerator and power plants since 1999, Specialty Foundry is your full-service foundry supply company. From our new 30,000-square-foot office and warehouse facility in Charlotte, North Carolina, Specialty Foundry Products proudly serves the metal casting industry with integrity and value. Fully staffed with professionals from within the foundry industry, we offer unmatched experience, quality products including Refractory Installation, Industrial torch, Refractory heat up, and Refractory Sinter, and the unique ability to be your single source for foundry products. 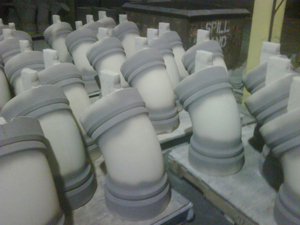 Specialty Foundry Products not only provides traditional refractory and metal casting equipment and products, but also supplies our long-standing customer base with foundry-related materials and services like refractory heat up and refractory pumps. Our mission is to be responsive to the needs of our customers, sensitive to the needs of our employees and to achieve profitable growth as the experienced leader in supplying quality products, services and technology to the metal casting industry.